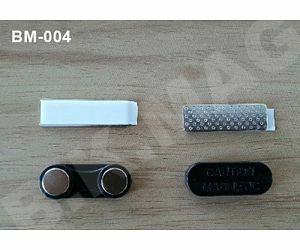 What’s the Magnetic badge holder ? 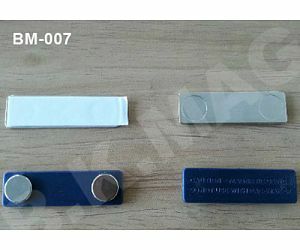 Badge magnets are designed to prevent holes, tears or other damage to clothes and will keep badges in one spot at all times. With adhesive backings, simply affix the magnet to the backside of a badge for an easy to use application. 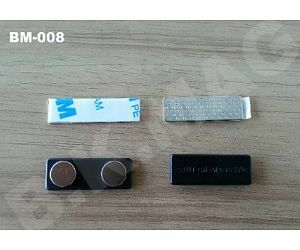 How Magnetic Badge Holders Work ? 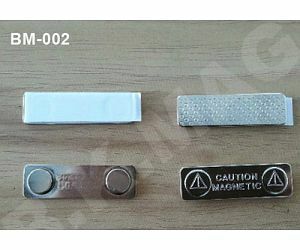 Super magnetic badge fasteners are made from strong Neodymium Magnets. 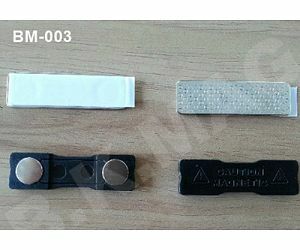 In usually ,the magnetic badge work with a taped plate .The neo magnets naturally adhere to the steel badge plates through your shirt or jacket lapel. 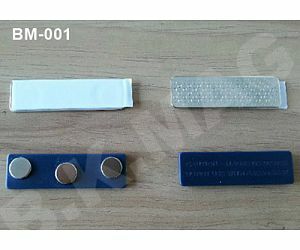 For aluminum badge plates, we include a complimentary adhesive steel piece that sticks to the back of your badge plate and attracts the magnetic badge fastener. Warning: People with a pacemaker should not wear magnetic name badges. 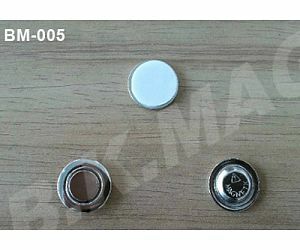 B.K MAG manufactures supply millions of Magnetic backing for badge and button since 2008 . Now we has grown into the largest badge magnets vendor in China . 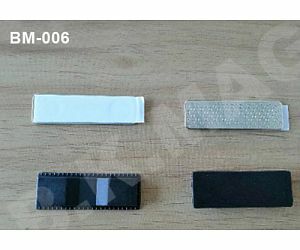 We are sure B.K MAG will be your great magnet solution source .